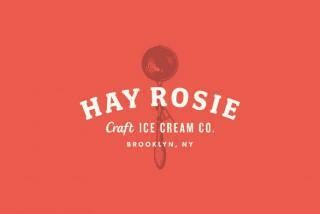 Hay Rosie is located in Downtown Brooklyn. Hay Rosie is a brick storefront that always has lines that are out the door. What is so special about this place is that the ice cream is made on-site. Everyday there are multiple different and original flavors that are being made. The dessert that they are most famous for is their BarnBurner. A BarnBurner is an ice cream sandwich that has an outer shell made from cookie dough and on the inside is the ice cream of your choice. The ice cream sandwich is toasted in a specially designed press that seals the sandwich creating a soft, warm, cold, creamy dessert. Hay Rosie is only open in the summer on the weekends.